Welcome to Americas Best Value Inn and Suites Canon City- our pet friendly hotel is located on Highway 50 and Orchard. Our hotel is located in beautiful Canon City and the Royal Gorge Region. Just a short drive to the Arkansas River- Lost Paddle Rafting-Royal Gorge Zip Line Tours- the Royal Gorge Route Railroad. Other great attractions include The Abbey Winery- Royal Gorge Regional Museum- Dinosaur Depot Museum- and Museum of Colorado Prisons. Play a round of golf at Four Mile Ranch Golf Club. Enjoy a tasty meal at one of the local restaurants such as Old Mission Mexican Restaurant- Ortega-s Restaurant- and Papa Murphy-s Take and Bake. 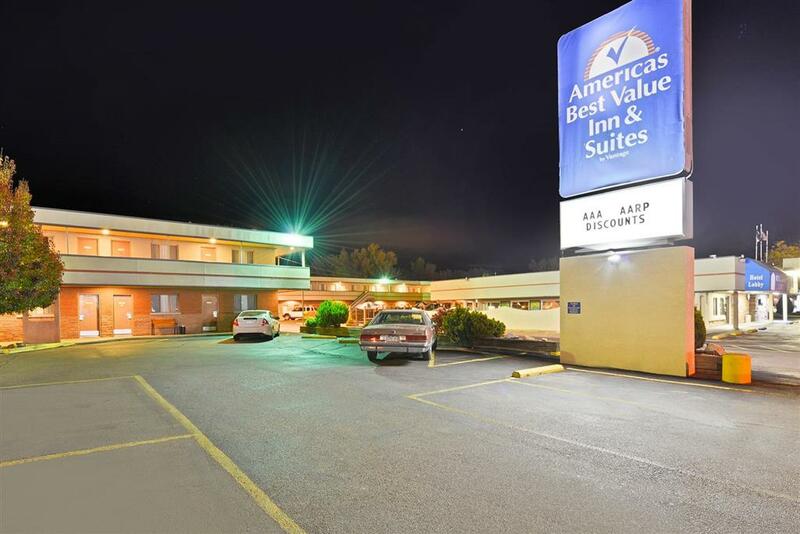 Whether in town for business or pleasure- Americas Best Value Inn and Suites Canon City provides comfortable accommodations- affordable rates- and a friendly front desk staff to make your stay with us as carefree as possible. Free wireless high-speed Internet access is available in all guest rooms as well as all common areas throughout the hotel. For your convenience we offer an on-site guest laundry facility- free local calls- and wake-up service. Business center with computer is available for guest-s usage. Take advantage of our meeting facility for all your conference and meeting purposes. Cool off with a swim in our outdoor pool and whirlpool available from 8am until 10pm daily -Memorial Day until Labor Day-. Step into the privacy of your own guest room with amenities including a microwave- mini-fridge- cable TV with HBO- hairdryer- coffeemaker- iron- ironing board- and clock radio. Spacious deluxe family suite with separate sleeping area is also available. At Americas Best Value Inn and Suites Canon City- We-ve Got You Covered from the time you hit the road until your head hits the pillow. Americas Best Value Inn and Suites Canon City is located on Highway 50 and Orchard. Our address is 1925 Fremont Drive- Canon City- CO 81212. Miniature city block shows off the character sculptures of artist Michael Garman. ~45 miles from Canon City.